whoop with laughter in the holy spirit. Get ready to meet the Davidic dancers. Therefore, It is only the metamorphosis in your life that can end the mockery. Hence, this is the hour of “W’agye Me” (He has saved Me). therefore you do not allow the passage of heat of problems to overtake you. Furthermore, Ace Ghanaian gospel singer, minister Obaapa Christy is set to release her latest album in the month of October 2018 through the end of the year. Having kick-started her career a couple of years back, the sensational artist is today an accomplished artist who has carved a valuable musical niche for herself. 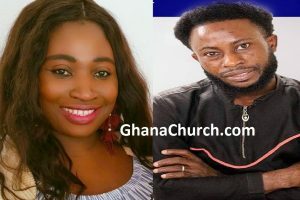 Obaapa Adwoa Christy is the hit-maker of several gospel songs including, Ade Akye Abia, Se Wambaa, Memma Mewere Nfi, Metease, Aseda Nwom, Hyebre Sesafo, Bo Abrabo Papa and the likes. The bloodline and the DNA of the family of “Twene” is gifted with music. Finally, “W’agye Me” is really a “metamorphosis” and inflammable, to take you to another realms of praises according to GhanaChurch.com.